Child care in America: So expensive that only the rich can afford to have kids. Congratulations, America! Only the Rich Can Afford to Have Kids in You. 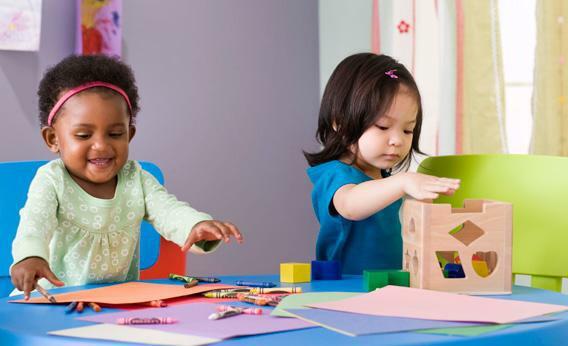 Child care costs aren’t just crushing parents in New York, where everything is more expensive. They’re crushing parents across the country. As Alissa Quart points out in an enraging op-ed in the New York Times, “In 35 states and D.C., even the cost of center-based day care (let alone a nanny) is higher than the cost of a year of a public college.” What’s more, in 28 states, yearly child care for two kids costs more than a parent earns from a 40-hour per week job at minimum wage. There are two common ripostes to this problem from those who don’t think it’s the government’s job to help parents pay for child care. The first is that people shouldn’t have kids they can’t “afford.” At this point, that means only the well-off can afford to have kids. Quart interviews lawyers, professors, and accountants who are all barely making ends meet after they pay for child care. The other response is that one parent should stay home if a family can’t afford child care. But that too is a simplistic answer. Child care isn’t the only expense—most families need two working parents to feed and clothe their offspring. Also, if one parent—and yes, it’s usually the woman—stops working for a prolonged period of time, this has a ripple effect on the future earning potential for the entire family. For every two years a woman is out of the workforce, her earnings fall 10 percent. Children are going to be born to Americans who are not wealthy. This is a fact. Those children need to be cared for, for their own good and the good of society—another fact. According to Helen Blank, the director of child care and early learning at the National Women’s Law Center, parents pay about 60 percent of child care costs, the government pays about 39 percent through tax credits or directly subsidizing child care, and the private sector pays less than 1 percent. That’s a calculus that has to change, but there’s no miracle solution, Blank says. “There’s been progress for 3s and 4s,” Blank explains, with more states funding universal prekindergarten and with Obama proposing a federal tobacco tax to pay for expanded early childhood education. But from birth to toddlerhood, American parents are generally on their own, with only 11 percent of American parents getting any paid family leave after their children are born. There’s no quick fix, but quality child care should be an extremely important cultural imperative. Whether parents get help with funding from larger tax credits, more subsidies, or even through the largess of a Bill Gates–style billionaire, it is in the interest of everyone—not just parents—that our youngest citizens get the care they need and deserve, no matter how much money their parents make.